I recently found out that the houses in Amsterdam are slightly slanted forward, and have a hook at the top so that in the past, the could hoist things such as furniture up into the top floors- due to the stair wells being so thin and small- hence why the windows are all large! ON another note, I love love this post! The concept is awesome! and aww, thanks for liking this post. I am trying to add some spice to my travel blog and hence decided to do something different. I will be posting more entries in such formats in time to come for the other places that I had visited. Do drop by then for more #random_thoughts! 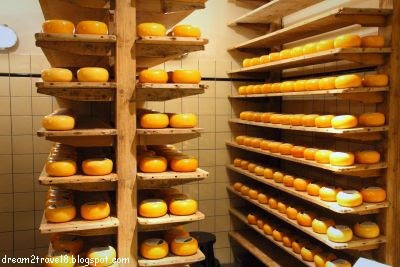 This is an amazing (an funny) random thoughts post about Amsterdam. I've never been but I've heard a lot of interesting stories about it. Seems like a great place for a get away! Not sure if this reply will get to you but thanks for reading this post!! I love the concept of #random_thoughts. I always find myself with the most random thoughts about things. 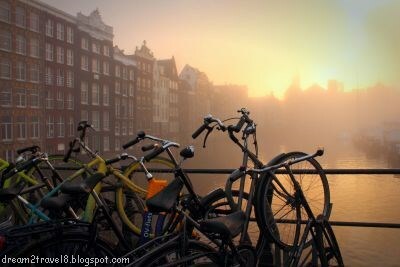 Though I haven't personally been to Amsterdam, I do hope to make it there one day. It is very curious about the slanted houses. I think the Europeans have a much different lifestyle than North America and the Western world. They have delicious treats and are so healthy. I think much has to do about the way they Eat and the culture around food. I'm taking a food and nutrition course that is starting to talk about the differences around the world. I remember being in France and seeing all the gorgeous pastries and seeing the people and wondering how they did it. I think all the stairs and walking definitely helps them. Hi Mommy Dearest, thanks for reading and for making me feel better for not being the only one who always have random thoughts about things haha! The food and nutrition course sounds interesting and It must be quite fascinating to see how culture plays a role in the food choices and habits all around the world :) Hope you will gain more valuable insights in your course! i too wonder what cannibas ice cream tastes like now that you mention it. Great photos! I would love to travel here someday! You posted some great photos, I especially love the pastries, they look yummy! Hi, thanks for stopping by and am glad that you enjoyed this post! 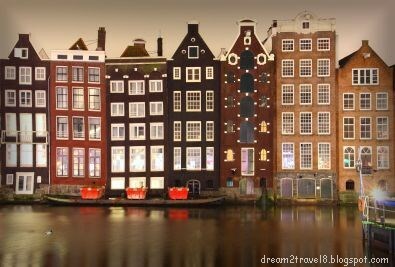 I have seen Amsterdam only in movies, travel shows and documentaries. The canal houses look so cool! I would love to sample the local cuisine. 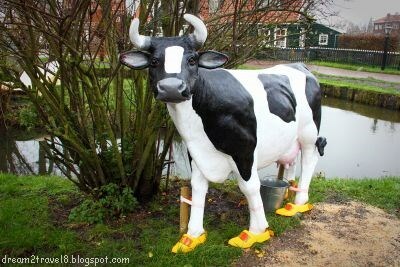 Do you think it is easy to find vegan and vegetarian food in Amsterdam? Never tasted cannabis ice cream before! I love the concept of this post! It's like you're giving us an inside look to a travel diary or journal. And I bet the locals all stay so thin because of all those bicycles!! Sounds like a dream trip! I would've loved to see the Hermitage Museum in the East end, alas, the last time I was in Amsterdam, I ran out of time. Thanks for bringing me back to those happy memories! It is precisely this that makes me love Amsterdam - cycles everywhere, the quaint colorful houses, the clogs and cheese around, Tulips during the seasons...sigh! I want to head here again! 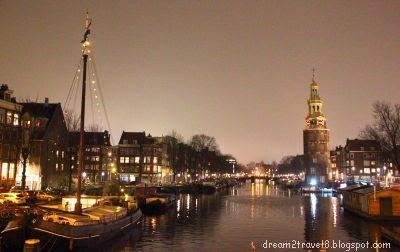 Amsterdam immediately evokes images of canals, bicycles, and museums apart from Tulips. Random thoughts do flit across the mind and many of them capture thoughts subconsciously which on later reflection turn out to be profound truths. I think we should include this on our posts too ! The idea of penning down random thoughts is great. Every city, town, village or a new country provokes random musings. It was interesting to learn a couple of things about Amsterdam. I wanna go there for the canal houses. They look lovely. I did not know that Amsterdam Schiphol airport is below sea level. Really? Loved your post on Amsterdam and your random thoughts on this beautiful city. Slanting and skewed roofs of canal houses from Amsterdam is somewhat unique feature of this city. Love this city.